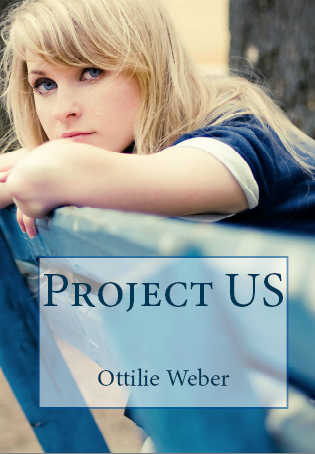 Today I’m happy to do a cover reveal for fellow Goodreads Author, Ottilie Weber. Ottilie has been on my blog before for the blog hop “My Writing Life“, which you can read here. Here’s the cover along with a book blurb and an excerpt. Look for this book to come out in August. Rachel is used to being in control of her emotions, never letting anyone get close to the real her. Nick is exactly the kind of guy Rachel has been trying to avoid getting involved with. Yet, when their school arranges a mysterious project that puts them together, they soon become trapped in a marriage that turns out to be real and legally binding, and they aren’t the only ones. While their parents try to get four hundred students out of these marriages with legal help, the teenagers must live in a compound with their respective spouses for the duration of the project. Being trapped together leaves no room for denials. As Nick begins to fall for Rachel, she does everything in her power to avoid his charms and protect her heart. All she wants is to get out of the marriage, but does she truly want out, or is she only lying to herself?